Novocastrian Morgan Evans and Knoxville singing spouse Kelsea Ballerini headline our Nu Country TV Series #37 premiere on Saturday September 1 at 9 pm on Channel 31/Digital 44. Another Novocastrian Kristy James and North Carolina nouveau outlaw Luke Combs also return to the program filmed and edited by Laith Graham. Morgan Evans headlines on the eve of his return Australia tour next week that includes a concert at the Corner Hotel , Richmond, on Thursday September 6, with Irish singer Catherine McGrath. But he performs a duet with Kelsea on our show in their video for Day Drunk filmed in Hawaii before the volcano erupted. Ballerini also returns with her tongue-in-cheek tune I Hate Love Songs . 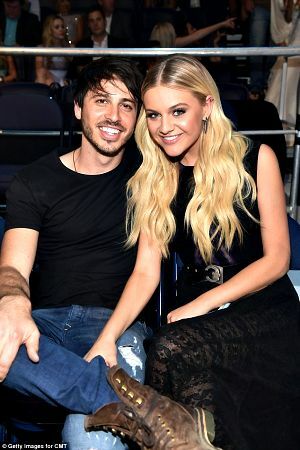 They met on a judging panel at 2016 CMC Rocks Queensland festival in Ipswich and were engaged on Christmas Day that year and married on December 2, 2017, in Cabo San Lucas, Mexico. But they chose Hawaiian holidays for a Day Drunk locale with swimming, water slides, water-falls, riding ATVs and Jeeps and flying a helicopter. "I've never been the drinking song guy, but this song came from a real place and is really more about spending a day with your person than it is about just going getting drunk," Evans revealed. "There's a reason why I love it so much and feel like I can sing it." Morgan is touring to promote his second album that features singles Kiss Somebody and I Do. Evans wrote Kiss Somebody with Josh Osborne and Chris DeStefano. “The day we wrote it, Josh came into Chris' house with the title,” Evans recalled. The new single is the apt I Do. "Wrote it about my girlfriend,” said Evans as he traced the song time line. “Recorded it about my fiance. Releasing it about my wife." "In the lead-up to a wedding, you ask a lot of your married friends - especially people that are in similar situations or similar age - 'does anything change or is it just the same but a little more awesome?' Everyone keeps telling us, 'ah, it gets better. And so whatever that means, I'm looking forward to that, and it's gonna be fun." 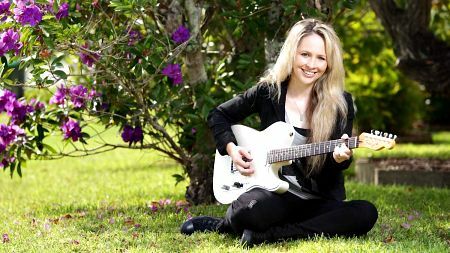 It's a far cry from when Evans toured Australia in 2013 with Georgian superstar Alan Jackson and Missouri minstrel Sara Evans after releasing second EP While We're Young that was produced by expat Adelaide guitarist-singer-songwriter Jedd Hughes in Nashville. Kelsea performs a humorous video for I Hate Love Songs on her second album Unapologetically. The Peter Pan singer starts poking fun at cliches associated with love, falling confetti hitting her on the face as she reclines on a red, spinning, heart-shaped couch. It pans through a classic over-the-top scenes, including a botched proposal, an awkward near-kiss in the rain and dramatic game of he loves me, he loves me not as Kelsea plucks petals from a bouquet of roses and tosses them, one by one, in the direction of the camera. Ballerini makes it clear that cheesy, over-the-top displays of affection aren't her style, as she dodges bridal bouquets and pops red balloons. There's an interrupted proposal scene where Kelsea walks off with the couple's wine because no wine should be left behind. Despite her desire to avoid love songs and all things associated with them her feelings towards her man come off strong. She wrote it with Trevor Rosen of Old Dominion and Shane McAnally. "I will never forget introducing I Hate Love Songs at the Grand Ole Opry before my record was even out, and just the overwhelming feeling of magic. I'd never experienced anything like that before with a song," Ballerini said. "It's sweet and sassy, and I hope you love it as much as I do." 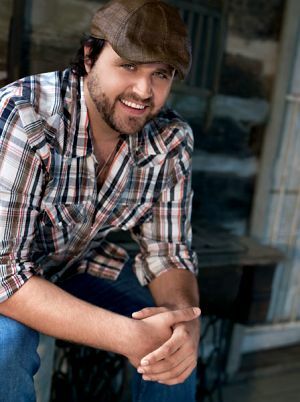 Randy Houser performs his latest video for What Whiskey Does from his fourth album Fired Up . Houser, 42, was raised in Lake Mississippi - a town of about 500 people outside famed song locale Jackson. He wrote What Whiskey Does with Texan Keith Gattis and Hilary Lindsey. Drinking songs fuelled Fired Up - Whiskey-sippi River, Hot Beer & Cold Women and Yesterday's Whiskey were three of them. Houser recently played the 11th CMC Rocks Queensland festival in March. He married Australian born Tatiana Starzynski, on May 4 2016. She is the sister-in-law of singer-songwriter Dallas Davidson who introduced them. Randy's parents divorced when he was 7 and he spent summers with his dad - a professional singer and musician. Former marine and latter day Virginian bank executive Tony Jackson debuts with Drink By Drink in our drinking double shot in Behind Bars. Jackson was a marine for four years before becoming a Virginian Fortune 500 bank executive. The Richmond bank hired him for its Information Technology division, initially assigning him the lowly chore of re-setting passwords. “I was way overqualified,” Jackson revealed. Jackson wrote Drink By Drink, Old Porch Swing and She's Taking Me Home for his self-titled solo CD that features guests Vince Gill and Steve Cropper. It includes Bill Anderson tune I Didn't Wake Up This Morning and homages to Hank Williams Jr, Willie Nelson and late Merle Haggard in They Lived It Up, penned by Bill and Bobby Tomberlin. His initial album videos scored over 45 million Facebook views and 1 million shares. It was worth changing career at 40 to singing long after his birth in Portsmouth. He spent his childhood as a self-described Navy brat, living on bases all over the world with his dad Tony Jackson Sr.
“I heard Earth, Wind and Fire , classic Motown , George Benson. But I first got exposed to country through Armed Forces Radio ,” he says. When he was a pre-teen, there was also a lucky encounter with a country superstar. The stranger was North Carolina born Randy Travis, who was performing on the base that night. 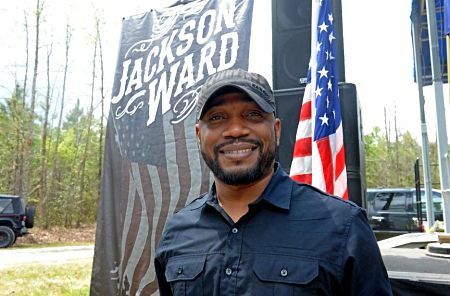 Jackson also sang in Richmond band Jackson Ward that released 2107 debut CD Goodbye Trouble. 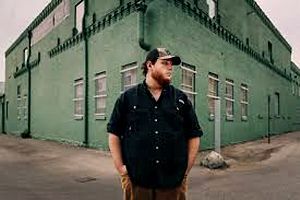 Luke Combs traced his colorful back pages in his new video for A Long Way - one of five bonus tracks on his deluxe debut CD This One's For You Too. The 17 song album was released here after his Australian tour with South Carolina star Darius Rucker that included a concert at the historic Melbourne Forum Theatre on March 19. They also played the 11 th CMC Rocks Queensland festival with Georgian Luke Bryan, Dustin Lynch, Ballerini, Houser, Old Dominion , Dan + Shay, Dean Brody, Brett Young, Brothers Osborne , Gord Bamford and other major local artists. The festival and the Rucker-Combs tour are among memorable projects organised by our late benefactor Rob Potts and fellow Tasmanian born Michael Chugg. Luke, now 28, last appeared on the show with Houston, We Got a Problem - another bonus track. CLICK HERE for a Combs feature in The Diary on July 5. Novocastrian Kristy James follows in the slipstream of fellow home town heroes Morgan Evans and Catherine Britt on her Nu Country TV return. She wrote Cinderella after taking her children to that movie. Kristy's character never fulfilled those dreams but her children asked her to write a song about it. She opted for a horse named Rainbow with male lead Guy Anderson who was featured in The Bachelorette TV show. “I'd never ridden a horse before and it was incredibly difficult to act the love scenes, I was way out of my comfort zone!” Kristy explained. “This video clip was about as real as it can get for me. I put my heart and soul into telling the story that I had in my head at the time I wrote the track,” Kristy explains. Cinderella is on her new Social Family Records EP Raw.